So take a look at our inventory above, and then contact us today to lease or finance the VW Golf GTI. What Do Experts Think of the Volkswagen Golf GTI? Without a doubt, you’ve made a smart choice for your Long Beach commute. 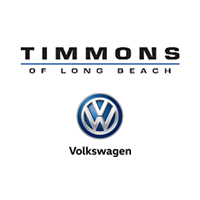 So pick one up today at Timmons Volkswagen of Long Beach, just a short drive from Hawthorne, and as quick as this car drives, you’ll be cruising down the 405 in your very own Volkswagen Golf GTI!